If wrinkles or fine lines have begun to make an unwelcome appearance on your skin, it may be time to consider facial rejuvenation. Thanks to the latest advances in plastic surgery, there are several solutions — both surgical and non-surgical — available for a younger-looking, beautiful appearance. Dr. Sean Maguire of Physician’s Center for Beauty is proud to offer his patients a number of options to enhance their beauty, one of which is Ultherapy, a non-surgical skin tightening treatment that is ideal for patients who wish to erase subtle signs of aging and do not yet require surgical intervention. Using ultrasound energy, Ultherapy reaches the deepest levels of the skin tissues to promote collagen growth, causing the skin to gradually become tighter and firmer and restoring a youthful facial appearance. Ultherapy may be right for you if you wish to undergo a non-surgical treatment to address the effects of aging and sun damage. Typically, candidates for Ultherapy have mild to moderate skin laxity on the eyebrows, chin or neck; or lines and wrinkles on the chest. 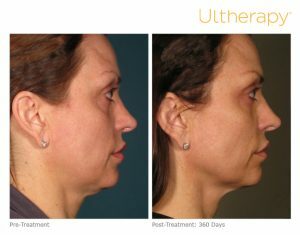 Ultherapy is ideal for patients who want to stave off the need for surgical intervention in the future (e.g., facelift or neck lift) or who want to complement the effects of a cosmetic surgery procedure. Our Ultherapy specialist can determine whether Ultherapy is the best treatment for you after examining your facial anatomy and listening to your aesthetic concerns and needs. 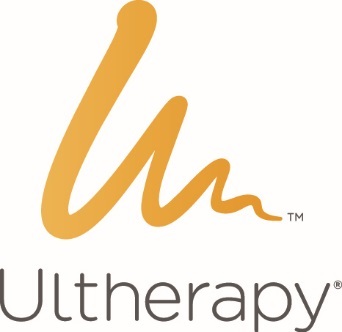 Ultherapy is performed on an outpatient basis in Dr. Maguire’s Louisville office and does not require anesthesia, incisions or bandages. Treatment is not painful and can take between 30 to 90 minutes, depending on the size of the treatment area and your aesthetic needs. To begin, our Ultherapy specialist will position the Ultherapy handpiece over the treatment area. The handpiece projects images from underneath the skin, allowing the specialist to “see” the deepest levels of the skin tissue that need to be treated. The handpiece then delivers ultrasound waves to the deep layers of skin tissue. This heats the tissue and triggers the production of new, healthy collagen. The new collagen gradually causes the skin to lift and tighten. This process is repeated until the entire area has been treated. Ultherapy does not require significant downtime. Immediately after treatment, you may experience some temporary redness, swelling or tenderness in the treatment area. This should quickly subside. You should be able to resume your normal activities, including returning to work, almost immediately after treatment. 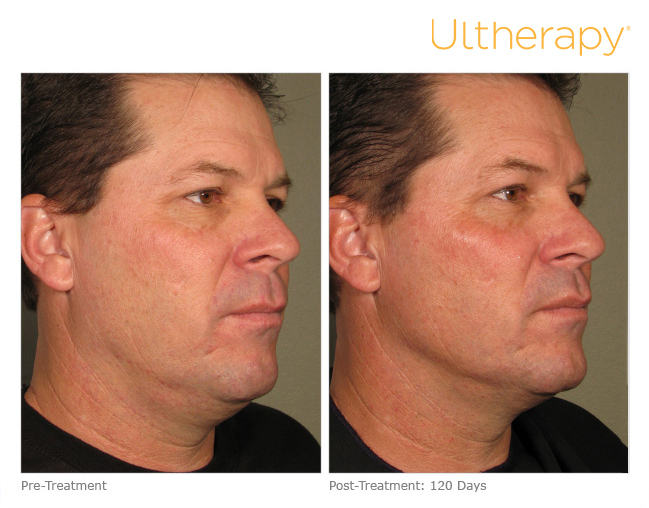 Ultherapy has helped countless individuals achieve a youthful appearance. Are you interested in learning how it can help you? Preview your results with the Ultherapy results stimulator! Results from Ultherapy become visible gradually over the course of two to three months after treatment. During this time, you will notice a steady lifting and tightening of the skin, all while lines and wrinkles become less visible. These results are long-lasting. 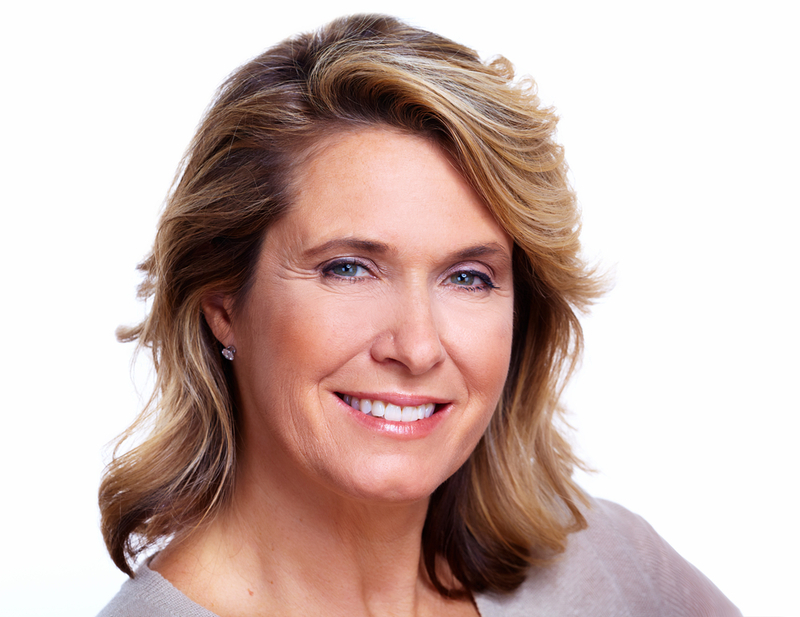 To maintain your youthful appearance, Dr. Maguire recommends you schedule repeat treatments. The frequency of these treatments will depend on your skin laxity and your personal aesthetic needs and goals. To learn more about Ultherapy and whether it is the best facial rejuvenation procedure for you, please contact Physician’s Center for Beauty. Schedule a one-on-one appointment by calling (502) 897-7546 today. Vampire Facial The Benefits of Combining Facial Rejuvenation Procedures Is Liposuction Good for Cellulite? How Often Can You Get Botox?